When called to account for an apparent inaccuracy in a broadcast pinning the MH-17 shoot-down on Russian President Putin, Australia’s “60 Minutes” responded with insults and dissembling. But that behavior has been typical of the propaganda wars around the Ukraine crisis, writes Australian Greg Maybury. Many people familiar with this relatively obscure yarn might this week have once more been reminded of its enduring pertinence in the post-Cold War and post-9/11 eras with the airing last week on “60 Minutes” Australia of a report claiming to have solved the mystery of the Malaysian Airlines MH-17 shoot-down disaster last July 17 over eastern Ukraine. This would especially have been the case with those of us who’ve had singular difficulty with the official Western position on who was actually responsible for the incident, one to which the “60 Minutes” segment seemed to go out of its way to give its seal of approval. Along with reviving a major international story that for almost six months now has all but gone missing in media action, the “60 Minutes” crew ostensibly have added fuel to the fire that still attends the broader Ukraine situation, along with that of the resultant standoff between Russia and America and its Western allies, over what is happening in that country. In this context the introductory anecdote (above) takes on additional resonance. I will return to the actual “60 Minutes” segment shortly along with some reactions to it. However, given the long dormant status of the story, it is necessary to revisit some of the key aspects of this international tragedy, one in which Australia lost 38 people, second only to the Netherlands, which lost 193 nationals. The significance of the MH-17 story cannot be underestimated, despite or indeed because of its extended absence from the news cycle. This, not least because of the large number of family members and friends both in Australia and worldwide of those who perished and who themselves are still, some 10 months later, looking for answers and some closure. Moreover, the very fact this incident took place within the supercharged geopolitical atmosphere that is the Ukraine crisis, one even more charged now than it was then, is also of considerable importance. From the outset, Western governments and politicians from across the political spectrum led by the nose by the neoconservative cabals in Washington and dutifully buttressed by their propaganda shills in the corporate or mainstream media (MSM) relentlessly sought to assign blame to Russia for the shoot-down. This was a textbook media case study reinforcing the old adage about never letting the facts get in the way of a good story. In the course of doing so, they recklessly inflamed an already intense standoff between the two countries over the Ukraine crisis, one that it has to be emphasized, is largely of America’s own making. Despite official denials from Washington, this “crisis” we now know was custom-designed and purpose-built by Assistant Secretary of State for European and Eurasian Affairs Victoria Nuland and her posse of “regime changers” in the State Department, dutifully backed up by their neoconservative cronies (including Nuland’s husband Robert Kagan), to say little of the “liberal interventionists” in the Obama administration and in the broader Official Washington community. As for what actually happened to MH-17 and who was responsible, Washington and the MSM in the West continued to maintain their rage for Russia despite being unable to provide concrete evidence of their claims, all the while singularly failing to provide news consumers and the general public with the full story, at least to the extent it was known. If nothing else (and with this story there is plenty “else”), the MH-17 fallout was emblematic of the MSM’s long, well (if not fully) documented, and not so illustrious history of venal complicity in blindly validating Western governments’ approved narratives, along with sanctioning their official agendas and, whether through sins of omission or commission, suppressing their secret ones. This is not conspiracy theory; it’s conspiracy reality. In fact it remains one of the key reasons why the generic MSM brand is in such decline among discerning news consumers seeking timely truths and authentic realities about the world in which we live and the forces which shape it. For those folks highly skeptical, even dismissive, of the official narrative of the events leading up to and attending the MH-17 disaster, it was and has always been a “put up or shut up” proposition. This is something even the “60 Minutes” folks would have known from the start. And although we can say those promulgating this official narrative were unable to “put up” (albeit not for the want of trying), they eventually did “shut up.”. It seems then the politicians and their praetorian guard-dogs in the MSM were unable to sustain the breathlessly hysterical, one-sided “blame game” they collectively indulged in with respect to Russia, all the while reserving particular animus for its President Vladimir Putin. The “blame game” then was called off, though it was always something of a “shell-game” in disguise. The hypocrisy was breathtaking in its scope, duration and intensity. Indeed, so “hysterical” was the backlash, Western leaders appeared to be outdoing themselves in carrying the can for Washington, with arguably Australia’s Prime Minister Tony Abbott leading the pack by earlier threatening to “shirt-front” the Russian president over the issue during his official visit to this country last November for the 2014 G20 meeting in Brisbane. Coming from a national leader on the world stage, this unprecedented, petulant outburst was something to behold. But such was the fervor of the times regarding MH-17 especially, and more broadly, the anti-Russian mood that prevailed earlier in the year over Russia’s “invasion” of Ukraine in the aftermath of the U.S.’s prefabricated coup d’état. Yet even putting aside the reality, Abbott was doubtless playing to local audiences given the number of Aussies killed in the shoot-down (to say nothing of his rock-bottom domestic political stocks at the time), it was clear from this moment the anti-Russian mood across the West at least within official circles if the effective G20 snubbing of Putin was any indication had indeed reached a crescendo if it hadn’t taken on a life of its own. The MH-17 incident proved to be a powerful lightning rod through which the bear baiting could effectively be channeled by all and sundry. It was the gift that kept on giving for the neoconservatives and their interventionist confreres, along with those American allies wanting to ingratiate themselves with the Beltway Bandits on both banks of the Potomac. That said, in retrospect it seems it was only a matter of time before someone somewhere sought to revive the story complete with the “Putin did it” narrative. Cue here “60 Minutes” Australia! Now we can only surmise that this recent revelation purporting to be the definitive account of what actually happened to, and who was responsible for, the MH-17 shoot-down was the end result of a decision by the “60 Minutes” folks to boldly go where their colleagues in other MSM outlets feared to tread, fears based one suspects on the old adage that it’s better to let sleeping media dogs lie after all. Moreover, one suspects this may have been an attempt by “60 Minutes” at brand “rehab,” since for those of us with a more nuanced view of how the MSM really works have known for some time said “brand” has become somewhat shop-soiled over the years. And given “60 Minutes” status as a flagship MSM name whether in Australia or in the U.S. going down this path was always going to attract people’s attention. For this reason alone it was fraught with peril, so they just had to get this one right! Which is to say, this was the only way they could go if they were attempting to revive the MH-17 story. Considering the basic laws governing the media news-cycle, efforts to do so had to be accompanied by some groundbreaking new insights, or at least the next best thing. And one can only wonder what the “next best thing” might have looked like short of finding the “smoking gun” (or should we say, “smoking BUK”) and identifying the persons who fired it. This was especially the case given the hammering the same media gave the issue from the outset. But in declaring unequivocally they had indeed done all this, in the process correspondent Michael Usher and his intrepid “60 Minutes” team of investigators may have not only opened up a can of worms, they might also have bitten off more than they can chew and dug themselves into an even deeper hole in one fell swoop. They are going to look awfully silly if they aren’t able to sustain the narrative they have assembled from their investigations. The proof will be in the pudding going forward one imagines, the “pudding” in this case being largely whether the general public in Australia or anywhere else accepts their conclusions, and whether other MSM outlets pick up on the story and continue to run with it. And as of this writing, there appear few signs their MSM confreres either in Australia or in the U.S. are chomping at the bit to do so. Now because readers can decide for themselves by viewing the various links herein and doing their own research if so inclined, there’s little point rehashing the minutiae of the “60 Minutes” revelations or providing a blow-by-blow account of Parry’s own responses. It is however worth noting some of the key points. Further, Parry pointed to one of the main bones of contention for those of us who have had great difficulty accepting the official position, that being “the dog-not-barking question of why the U.S. government has withheld its intelligence data.” This is a not unimportant consideration by any means and one to which we’ll return. Not unexpectedly the “60 Minutes” folks in response took considerable umbrage at Parry’s suggestion they were engaging in journalistic “sleight-of-hand” in the way they had framed their narrative and presented their “ground-breaking new insights.” One member of the investigative team tweeted that Parry had made a “huge and embarrassing mistake” but didn’t say what it was. However it was the segment’s producer Stephen Rice who adopted an especially righteous stance. Describing Parry’s claims as “nonsense, and demonstrably wrong,” he then went for the journalistic jugular by declaring Parry’s piece “an amateurish attempt to discredit our story, embarrassing even for him.” Now the loaded phrase “even for him” is a measure of Rice’s “umbrage” to be sure, and suggests that for reasons about which we can only speculate he had little regard for Parry’s journalistic integrity even prior to his outburst. There was certainly a whiff of the “methinks he doth protest too much” about it. Yet one is left wondering if Rice is so convinced they got their story right and that the facts speak for themselves, whether this decidedly nasty additive at the end of his salvo was actually necessary, or for that matter was becoming of any self-respecting journalist. And in respect to any further consideration of who the real culprits were and as to what actually happened to MH-17 the sole focus of the “60 Minutes” story the significance of the “question” regarding why U.S. intelligence data has been withheld cannot be overstated. With this in mind, in the course of their investigation, why didn’t the “60 Minutes” folks seek out someone from the U.S. Government to provide corroboration or otherwise from their own intelligence data as to the veracity of their findings? Or to put it in even simpler terms, why didn’t “60 Minutes” ask the U.S. Government point-blank why they have thus far refused to release all the satellite imagery and related intelligence data on the MH-17 shoot-down that by most objective accounts would put the matter to rest once and for all? We might safely surmise herein this is because of the same reason there is still much evidence yet to see the light of day regarding the JFK Thing, or the 9/11 Thing, or the Iran/Contra Thing or any number of other memorable “Things” for which full explanations and revelations from the U.S. government remain outstanding. Taking then a broader view, there are a myriad range of other issues and angles to be considered for anyone revisiting the whole MH-17 tragedy: the geopolitical milieu in which the MH-17 incident took place and the narrative framework in which its story continues to play out the ongoing Ukraine crisis created by Washington; the West’s diplomatic marginalization of Russia coupled with the economic sanctions; the incessant saber-rattling and continuing encroachment by NATO around Russia’s borders; the resentment and suspicion that America through its belligerent foreign policy machinations is fomenting with nations such as Iran, China and others all has the potential to determine the fate of nations and the geopolitical landscape for years to come. And not it needs be said, in a good way. And that’s without considering the “nuke” factor! In this context then, the MH-17 disaster in realpolitik terms may not even matter that much anymore. This may explain why the story disappeared so quickly from the media radar. In reality and again with the benefit of some rear-view-mirror gazing, the MH-17 tragedy was always a geopolitical football from the beginning, and in that sense it has long since served its purpose. To underscore this and at the same time point to some of those myriad issues and angles regarding the MH-17 shoot-down that have all been swept under the carpet including it should be noted by our intrepid “60 Minutes” journalistic “gumshoes” the documentary by Peter Vlemmix is a must watch. To be sure, there are “plenty” of other folks who have questioned and indeed openly challenged the rationale for the official response from Western politicians and the MSM. But Vlemmix’s film is as good a place to begin for those looking to gain a more complete and more dispassionate perspective. And for those wishing to explore an alternative summary of the evidentiary minutiae specifically addressed by “60 Minutes,” the link herein is also highly recommended. What countries are currently involved in [the MH-17] investigation, and what specific role is Australia playing? At what stage is the investigation itself and when does the Minister expect that it will be completed and a report available? Can the minister confirm or deny speculation/reports that the findings of the investigation will not be released? If they are not to be released as has been reported, can the Minister please explain why this is the case? If it is found the Ukrainian separatists were responsible – which seems to be the official position of most stakeholders – will this change the position of the countries involved as to whether the findings indeed will be released if at this stage there is – as reported – no plans to do so? If the report is not to be released, will the relatives of the victims be privy to the findings, regardless of the outcome of said findings? If not, why not? If so, what conditions might be placed on them re: confidentiality if indeed the report is not going to be released in full un-redacted? Will they still be able to seek compensation from those responsible, regardless of who that is? If it is found that the Russian separatists were not in fact responsible for this disaster, will the Australian government lift the sanctions imposed on the Russian government in the wake of the disaster? Will the Australian Prime Minister also apologise to the Russian president for both the imposition of the sanctions, and the manner in which he was treated during the Brisbane G20? If in fact it is found that the Ukrainian regime was responsible, will the Australian government seek compensation for victims and reimbursement for the cost of the recovery operation and investigation? Will it seek an official apology from and/or impose economic sanctions on the Ukraine regime in response? Will the relevant members of the Ukrainian regime face possible criminal charges in international courts? Now there was no response from the Minister’s office despite a follow-up query, which for most may not be surprising. And we can only speculate as to whether I might have received a reply had I been a “60 Minutes” investigative reporter. For others, especially after all the brouhaha surrounding MH-17, the no-reply might also be something of a fashion statement. But the point herein is this: As with all incidents useful to Western governments, the MH-17 tragedy had served its purpose. There was no political dividend in continuing to flog the proverbial dead horse. As brutal as it sounds, the Australian government’s priority was not finding closure for the victims’ families, determining the real cause of the tragedy, or ensuring as far as is possible those responsible faced justice, and it would appear that the Netherlands is no different in this respect. Although no one has yet coughed up hard-core evidence against the Kremlin (including it would seem most key figures in the U.S. intelligence community), the Western powers led by Washington have flagrantly exploited the disaster in order to bolster their propaganda campaign against Russia. This is, after all, the Washington Way. Within the geopolitical realm though and in the final analysis, the perpetual siren call of realpolitik dictates that there are more often than not bigger fish to fry. Moreover, with the possible exception of the consideration the Russian separatists did shoot down the airliner deliberately and did so at the Kremlin’s instigation (a scenario that no one takes seriously), regardless of what happened and who was responsible for the disaster, the Americans themselves have to shoulder most if not all the blame for this lamentable, avoidable tragedy. Their track record of “regime change” is one that is well documented, with the commensurate blowback from such interventions constituting a narrative deep, wide and long enough to justify its own unique classification and index number within the Dewey library catalogue system. In this context then the MH-17 tragedy appears to be the direct outcome of another of those interventions, collateral damage as a direct consequence of playing the Great Game in the relentless pursuit of empire. For that matter, Ukraine itself may also be destined to take a back seat in the Great Game going forward. This observation was underscored by Pepe Escobar of the Asia Times recently, wherein he reports on an apparent thaw in the U.S.Russia relationship, one instigated by America. As for the “60 Minutes” folks, they may or may not have had the best intentions in their fearless efforts to uncover the truth. And they may or may not have covered all the bases and considered all the relevant facts, evidence and issues in delivering their final verdict. If they haven’t then, this would not be the first time by any stretch one of the MSM’s flagship brands has been caught short and found wanting in any or all of the above criteria. As far as the “60 Minutes” brand itself is concerned, in this respect we only have to recall “Rathergate”. 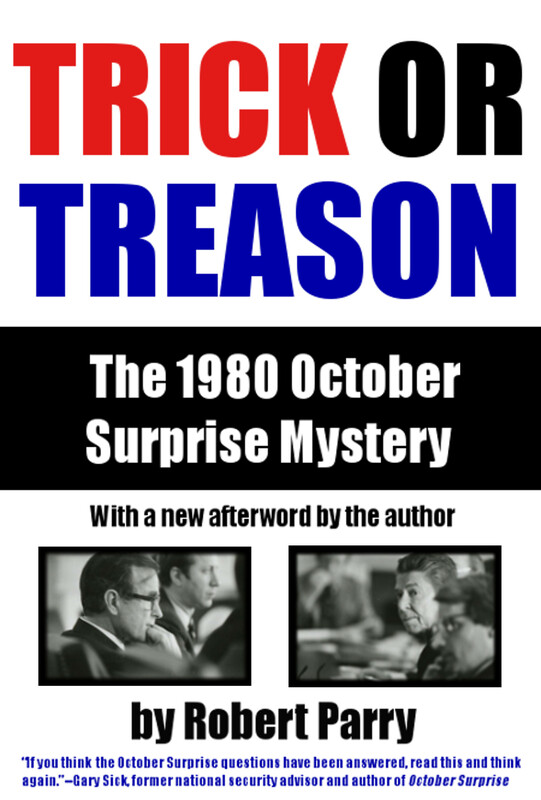 This referred to the Dan Rather imbroglio in 2004 resulting from revelations about George W. Bush’s National Guard duty in the lead-up to the presidential election of that year, “revelations” which were based in part on questionable documents. The botched story it should be remembered culminated in the veteran newsman’s downfall, along with the firing of several lesser known colleagues. In concluding then, for the moment and for the sake of argument, let’s give the “60 Minutes” crew the benefit of the doubt. They may have approached their investigation with an open mind from the start and then even genuinely believed when they went to air the program they were on the right track. Yet such was the nature of this story that that in the final analysis was never going to be enough. Their findings had to be more than convincing, even more than conclusive; they had to be bulletproof. 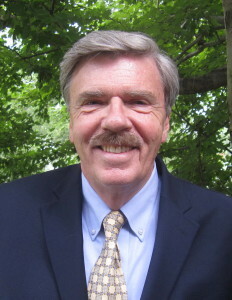 For his part Robert Parry has raised sufficient doubts, enough to render their findings significantly less than conclusive if not indeed less than credible. It is difficult then to accept that this high-wire adventure in investigative journalism had less to do with arriving at a truth or reality that most of us could get our heads around. It was more about reinforcing an official narrative one that has never been explained or evidenced satisfactorily by those who were best positioned, and upon whom it was always incumbent, to do so and more to do with journalistic one-upmanship, MSM grandstanding and brand refurbishment. Greg Maybury is a freelance writer based in Perth, Western Australia. 1st off it is more evidence released then there is that makes the Ukrainian BUK or Ukrainian SU25 be likely theories. Second, it happens in Ukraine, so therefore data and evidence collected from Ukraine has relevance, regardless who released it. Bellingcat, InformNapalm, and many other sources, including Russian or separatists VK accounts verify, analyze, or provide data. Even RT and other Russian media is utilized and searched for phtographs, videos or relevant data. As far as your other points, many analysis were done, Bellingcat and Correctiv and others were actually able to identify what regiment inside Russia it came from with its own painted over numbers. The Russian troops own VK, FB, and other profiles confirmed a lot of this multiple times. Yes, it could be disinformation provided by the Kremlin, that is part of the analysis of the data as well, and it is assumed until corroborated by other evidence. So that helps disprove your #1. 2: Witnesses have stated both seeing a ground to air missile hitting a plane and a military jet flying or two. So stating there is no eyewitnesses is malarkey, just the validity of their statements has not been proven or disproved. There are 2 documented smoke trail photos and other info that was collected. So your WRONG on this statement also. 3: From analysis, you have one statement from the Russian MOD pointing to one location, however most identify the location as inside Separatist controlled lands. The BUK rep in Russia that gave that conference was plainly wrong on many points and can be confirmed wrong on many Defense contractor sites of why it places the launch site where it did. Just check Jane’s site for one. 4: There is a video of one BUK travelling MISSING ONE MISSILE. There are various photos that were collected also. Not all that evidence was released to the public to protect those that provided the evidence from retaliation. Everything the Kremlin has been releasing has been conspiracy theories and their fairy tales have changed month to month. And they so far have always been discredited as false or utilizing false or false manufactured data. There is evidence, and the prosecutors and investigators are sifting through it. The courts will make the final decision, but still there is a lot of public data and evidence available. Most of that points to the Russian and the Separatists. There has been little, if any, public data that points to Ukraine or a CIA plot. Even though conspiracy theorists like Mr. Parry want to make you believe their outlandish or Kremlin supporting ideas. You make your own opinion on what you read, you discredit or validate info to make that opinion. Others do that work, and it all comes down to whose holds water better. So far, Bellingcat’s and other’s analysis’ hold the most water. Mr Parry and the Kremlin do not. Just like the SU25 idea that was pushed, that conspiracy theory FAILED. There is a lot of factual evidence collected. If you do not want to believe it because it doesn’t come from the Kremlin or Kremlin sponsored and controlled media, that is your problem. Let me remind you much of the data collected for this and Russian military involvement in Eastern Ukraine was from Russian citizen collected data from their various online accounts. It was open to the public and they provided it, including the statement that they had shot down a Ukrainian military transport plane just minutes after MH17 was hit with a missile. Those individuals wanted to brag and talked about it. To me, that was enough evidence from the beginning, however I still reserved my 100 percent judgement until after the court case and more evidence is available. However, I will admit in my eyes based on evidence provided globally so far, the Kremlin holds ultimate responsibility. Strange things have happened, OJ was found innocent in a criminal court, but in civil court he was guilty. And it is possible, there is a lot of evidence collected may get thrown out of the ICC, and the Kremlin or separatists will get off on a technical issue. Still the overwhelming amount of PUBLIC evidence, both circumstantial and factual, so far, puts the Kremlin and Separatists as suspects number one and two. What I state is not conspiracy theory, it is analysis based on evidence I have seen and based on the credibility I give that evidence. There is some that could go either way, Ukraine, Kremlin, or Separatists being suspect. The majority of it taken as a whole right now, puts the burden on the Kremlin and the Separatists, I really am surprised you cannot see it. A MAJORITY of the world does. Boggled has mentioned conspiracy theories. The most outrageous conspiracy theory is that the Russians being able to. 2.Shoot down the plane without any witnesses seeing a buk fired and it’s enormous smoke trail from separatist territory. 3.Leave shrapnel markings on the plane that made it look like it was fired from separatist territory. 4.Sneak the buk out without anyone being able to photograph it or video it (there are no verified photos or videos that can be sourced or dated). Boggled that is a conspiracy theory. We don’t have one verified photo or video of a buk in separatist territory and certainly nothing that can be dated to around July 17. We do of course have a lot of photos with no metadata from the SBU. The date on that article is over 2 years old, do you not think google has corrected the errors listed in that article? Maybe you should write and ask. It does not change the fact that the the Russian MOD is claiming them as ‘their’ facts and have yet to correct any errors, which I saw is a possibility if they wanted to claim some photos were weeks or months before the MH17 tragedy. They could have changed or clarified their position, they have not. They stand by their presentation and their satellite data and dates as completely correct, they are not and we ALL know it. Specifically, the farm land that was turn over or plowed weeks before and the treeline of trees that is still standing even though approximately a month before was all taken down and turned into lumber. Add to that the BUK they photoshopped that has not moved and was still in the same location and photographed up until October as never having moved. Even though the Russian MOD presentation clearly showed it MIA. The Russian MOD has not corrected themselves or their presentation, and I am sure they won’t. They do not want to appear as a bunch of nincompoops to Uncle Vova. New issue, RT has not corrected their presentation or article stating that Russian military does not have or use that missile anymore, even though Bellingcat proves they do all the way up to the last Victory Parade. Are you saying Russian translators on RT cannot get their Russian correct to clarify that statement? RT and a few others who were there at the conference all stated that was the translation, and put that into their articles. Only Kremlin PAID propaganda outlets such as RT and RIA were allowed to ask questions. 2 each. The rest of the media that was there was left wondering what did they even come to the conference for. Evidence has to come from somewhere. Your making the argument against the sky being blue because you emotionally do not trust your eyes. IE, you do not trust anything coming from your eyes because they cannot see infrared or some other asinine argument. Bellingcat provides analysis on what information is available. If it looks like a cow, smells like a cow, gives milk like a cow, walks like a cow, has flies like a cow, it most likely is a cow. Bellingcat makes that analysis, it is MOST LIKELY a cow. It leaves it to the biologists to state it with 100 percent accuracy to test its genetic makeup. You state, Bellingcat must be wrong because he is funded by the butter manufacturer, Land O’Soros. So you do not believe him, you think it is a dog because your mom taught you that the animal that looks like that is a dog, and that is what you grown up believing. Sorry, I hope your world doesn’t shatter, but the animal is a cow. You and other conspiracy theorists go to extremes to discredit the USA or anything West. It does not change the facts. A cow is a cow. A BUK is a BUK and it was captured on video with one missile missing and Higgins has the location correct. It was operated by the 53rd regiment. It came from Russia and returned to Russia. The real investigators have much more data to base their analysis from. All anyone can do is rely on OPEN SOURCE or public data collection to arm chair quarterback it until the official results of the investigation are released. That is what everyone is attempting to do. Russia is scrambling to defend itself and getting caught in lies over and over again. Know what that tells me? They have guilt associated with them. The facts will come out. The official explanation will come out. Russia is hoping for an OJ moment, but to be honest, I do not think it is going to come. Higgins is more right then anyone else. Besides him and other investigators who have done the legwork (which Mr. Parry has not), I would say that 90 percent of my brain says they are guilty in some fashion. The other 10 percent is the debate about how the missile complex got into the separatist hands, and who actually fired it and ordered them to fire as to how much complicity Russia has with the the destruction of the plane. Could there be a fact that changes my mind, possibly. However it would have to come from another source then Russia, because Russian facts are proving themselves unreliable. Comrade boggled, I almost didn’t recognize you. You only said “Kremlin” once. Sorry, comrade, Bellingcat’s cow don’t hunt. Maybe you should write and ask if Google Earth has magically become infallible. Anyway, thanks for the latest Washington/EU/NATO propaganda talking points. I’ll add them to the ever expanding list. The date on Google Earth can be off by weeks or even months. Higgins and Bellingcat cannot accurately identify the time and date of the imagery they use in their “investigations”. we hear ever-shriller charges that Moscow has mounted a dangerous, security-threatening propaganda campaign to destroy the truthâ€”our truth, we can say. It is nothing short of â€œthe weaponization of information,â€ we are provocatively warned. Let us be on notice: Our truth and our air are now as polluted with propaganda as during the Cold War decades, and the only apparent plan is to make it worse. O.K., let us do what sorting can be done. Details. The Times described â€œHiding in Plain Sight: Putinâ€™s War in Ukraineâ€ as â€œan independent report.â€ I imagine [New York Timesâ€™ State Department correspondent Michael] Gordonâ€”he seems to do all the blurry stuff these daysâ€”had a straight face when he wrote three paragraphs later that John Herbst, one of the Atlantic Councilâ€™s authors, is a former ambassador to Ukraine. Comrade boggled, you go boy! Thanks for spilling all the beans. As you have so clearly indicated, Washington and Western intelligence agencies now spread their disinformation on the Internet. Deception operatives like Higgins and Bellingcat get paid by Soros and company to “verify” this disinformation. It is all so clear now. Let me get this right Abe, your common sense tells you that because Higgins said he did not use DIRECT , only publicly released open sourced, government sources data (as Mr. Parry makes no bones about using but refuses to identify his sources) and claims that he uses open source (collected from the internet that almost everyone has access to unless you live in a dictatorship like Russia, analyzed, and thrown out false and non relevant evidence) regardless of where it originated from, be it private citizens or publicly released government documents, you are willing to throw out his evidence without giving it some consideration. Just because he said he did not use any government classified data (which is going to the Dutch investigators, let me assure you) you discredit his investigation because no reporter asked a clarifying statement to his statement. Which I am sure is what he meant he did not mean that he did not use ANY government data. There is a lot of that that has been released that IS relevant, unlike the faked satellite images and false analysis of radar images collected by the Russian MOD – ie a SU25 was seen flying (possibly) on the radar after MH17 was destroyed. And now this new think put out by the Kremlin controlled Russian BUK system business that made a silly claim like it could not be Russia because Russia does not (normally) use that type of missile in its BUK systems. First that is a lie, and second, even if it wasn’t a lie, with Russia’s forced occupation and actions of capturing Ukrainian bases in Crimea, they had access to a BUK missile of that type from there. The Kremlin is the King of false flag operations and doing something criminal then blaming it on someone else. It would be a short stretch of the imagination to assume that collecting repair parts for the other BUKs in Donbas, they sent up a few of those from Crimea with the intention of preventing the Donbas terrorists from utilizing Russian military equipment, in order to keep up the lie that the Kremlin is not sending equipment, and gave Ukrainian BUK systems and equipment to the terrorists. Then you go on to point out Mr Parry is a truly INDEPENDENT investigative journalist. All of Parry’s work is with the intention of creating conspiracy theories and questioning the DC infrastructure, that is not independent but BIASED. Show me one article critical of other governments that are NOT USA allies. His goal is to create as much doubt and hatred against DC as possible. Which does not make him an unbiased or independent investigative personality. He makes no effort to criticize the Kremlin. Higgin’s however is an equal opportunity critic. He will go against the USA, European countries, and the Kremlin and many other types of countries to be an investigator and collect and analyze open source data and pass along his opinion and the results of his investigation. Does he get it right 100 percent of the time? No, no investigative journalist is right 100 percent of the time because they do not have all the relevant facts, such as classified material. Mr. Parry’s record is that he has been right on 2 large investigations he has done, out of about 2500 different investigations he has done over his many years. That is not a very good record, but he has a few fanboys like you that champion him because he was right a couple times and works to discredit DC and Western allies as much as possible with his half baked conspiracy theories. There is no hybrid war against Russia, however there is a large propaganda war that was initiated by the Kremlin and the Western allies are responding to Kremlin deception. It is not some Russian prosecution or witch hunt, it is calling the Kremlin to accounts for the lies they use to justify their actions to the world and to the Russian population. The ‘war’ as you say is against the Moscow elite and their organized criminal elements, ie fascist, totalitarian, kleptocratic, mafia government, which is by its actions bring them to the forefront of global news and being judged accordingly by their actions. It is not an attack on Russians because they are Russian, it is an attack on a criminal element in control of one of the world’s largest nations who is doing some evil things. Piece of advice, Mr Parry should focus his attention on writing an article as a critique of Moscow’s elite, because there is a lot of THERE there, and the Russian population could use his investigative abilities and public stage to protect them. Your thorough recitation of Washington and Western intelligence talking points makes it crystal clear. Higgins, Bellingcat and the Atlantic Council’s claims of “open source” is one big sham. This is what Propaganda 3.0 looks like in the Pentagon and Western intelligence’s new “hybrid war” on Russia. or Mr. Parry with his – ‘ I have sources up at the top that he said she said type facts, then refuse to name these sources so that others can confirm or deny that Mr. Parry is not just throwing a lot of hogwash out to try to stay relevant in today’s internet age of investigative reporting. And well this person in Washington DC told me this or that. They Russian Embassy works in DC, is this who he is getting his ‘propitiatory source’ information from? Sure seems like it, because it follows the Kremlin line pretty thoroughly. Comrade boggled, you are an ever flowing fountain of Bellingcat fanboy mishigas and Atlantic Council talking points. A regime change think tank, the Atlantic Council is managed by Western â€œpolicy makersâ€, military leaders, and senior intelligence officials, including four heads of the Central Intelligence Agency. The Atlantic Council has released a report co-authored by faux â€œcitizen journalistâ€ Eliot Higgins and his crew of faux â€œindependent investigatorsâ€ at Bellingcat. The Atlantic Council uses video of Eliot Higgins and Michael Usher from the Australian â€œ60 Minutesâ€ program â€œMH-17: An Investigationâ€(see video minutes 36:00-36:55) https://www.youtube.com/watch?v=eU0kuHI6lNg to promote the report. It praises Higgins and Bellingcat for providing â€œundeniable proofâ€ in support of US and EU governments accusations against Russia. â€œWe make this case using only open source, all unclassified material. And none of it provided by government sources. However, the Atlantic Council claim that â€œnoneâ€ of Higginsâ€™ material was provided by government sources is an obvious lie. Higginsâ€™ primary â€œpieces of evidenceâ€ â€” a video depicting a Buk missile launcher and a set of geolocation coordinates â€” were supplied by the SBU (Security Service of Ukraine) and the Ukrainian Ministry of Interior via the Facebook page of senior-level Ukrainian government official Arsen Avakov, the Minister of Internal Affairs. Higgins and the Atlantic Council are working in support of the Pentagon and Western intelligenceâ€™s â€œhybrid warâ€ against Russia. With “citizen journalist” Higgins burying himself deeper in the hole with every new Bellingcat “investigation,” getting pimped high and low by Soros, Murdoch and NED-funded “internet age” disinformation outlets, honest reporting by truly independent investigative journalists like Robert Parry is more relevant than ever. Might I add, that the EVIDENCE that Russians hold so dear from the MOD release and analysis of satellite and radar images being proven FAKES, MANUFACTURED evidence, AND outright lies should be a BIGGER story on all people of the world’s minds more so then a whining about how 60 minutes of Australia did not produce a news program the way you would have done and complain about them not being able to produce the exact camera angle of the BUK missing one missile seen in the video. ALL the evidence is there that that is the location, the simple fact that a bunch of guys with guns or a property owner refused to let them shoot from that angle does not change the fact that it can be confirmed by many other means. I admit the composite of the two locations would be a SLAM DUNK in their investigation, but they were prevented. Regardless, the main issue you guys should be discussing right now, if your really concerned about getting to the truth, is WHY the Kremlin and Russian MOD faked and manufactured evidence and told outright lies? That should be bigger news and especially on pro Kremlin orientated minds right now. People should be asking themselves, have we been told the truth about anything relating to Ukraine from the Kremlin? The lies are endless, and you should be holding there feet to the fire the same as MSM is. It is not because they hate Russia or are anti Russian or are Russiaphobes, it is because the Kremlin is doing some very evil stuff. I hope those that read this do question what they are thinking with the proof of the Russian MOD faking evidence relating to MH17. That is a bigger story. Comrade boggled, nothing has been proven by Higgins and Bellingcat, despite your and Higgins’ long winded and repetitious insistence. Thank you again comment moderator and admin of the site for deleting 3 of my long winded arguments on this site that were NEITHER insulting, foul, rude, nor bullying than the main article posted on the page I commented on. It shows that unbiased opinions, critical opposition arguments, and an open discussion are valued here. Greg, It is a lively debate and brings out the emotions and the interesting ways different people believe and try to put a spin on things. Many conspiracy theories come out, and many facts do as well. I am not anti Russian in any way, however I am willing to be critical of the Kremlin and the Moscow leadership. That is something I have yet to read on any article posted on this site. As far as your repeating verbatim some other commentator’s statement and standing behind it as as a – considered, measured, and articulate views – let me remind you of what you posted. A month ago the RUSSIAN MOD changed its tune and believes it is a BUK and a Buk alone that shot down the plane, as all their conspiracy theories were debunked on the public world stage. Let me add also he quoted the release of Russian MOD satellite and radar images as part of the basis for his theory. If you read the articles recently, those have been debunked as manufactured, photo shopped and faked by various investigative bodies, not just Bellingcat. Radar images showing a SU25, fake it was just a piece of MH17 floating to the earth after its DESTRUCTION – it did not ( accidentally ) crash into the earth as you commented in the small photo at the beginning of this piece. Satellite images showing BUK locations contained false dates, clouds added, and a variety of other items, including showing farm land not turned over that was plowed days before the date shown on the images. Also a treed area that had trees standing on it but was actually lumbered 2 weeks prior to the date on the released image. Just a couple of the FAKES put out their by the Russian MOD. Does this sound like an unbiased and measured statement? To me it sounds like he came to the table with a preconceived notion and builds his conspiracy theories around them to use for his antiWest hatred. There is a very large probability the Kremlin is to blame, or the separatist factions, if that proves true, does that make his statement seem – measured – to you? Considered – that to me is a word that is similar in parts to both the adjectives used above. To me the words you used of the basis for your article – evidentiary minutiae – to me is just another terminology for conspiracy theory based on circumstantial and unproven facts with a few facts thrown in to spice it up. ie, the Kremlin’s PAID mouthpiece RT claiming it promote the Russian ( Kremlin’s ) view on news items in Russia and around the world. To them, it is all slanted anti West – especially the USA, and pro Kremlin. It is obvious from your promotion of that article and the statements there, you are biased pro Kremlin, and willing to promote any conspiracy theories that are antiWest. I am not going to change your viewpoint, your entitled to it as much as I am entitled to mine. The one thing that doesn’t change is the actual facts. You can put whatever spin you want on it, but based on what I have seen and read, the Kremlin is going to face a crippling lawsuit, isolation, and the implosion from within due to its totalitarian policies and attempts at being a pseudo democracy while wanting to rebuild the Soviet old days. Stalin’s policies caused the deaths of over 60 million people, and that originated in Moscow. How many deaths are going to be attributed to Putin after he dies? For Chechnya? For Beslan? For Georgia? For Ukraine? For the future? He hides the deaths and facts of those incidents from the Russian people, and even signed a law saying it is a crime if for a Russian citizen if you discuss those items. A piece of advice, be critical of Western governments, I love the fact you hold them to account for being a Superpower and involved in many situations around the world. But while holding them to account, be judgmental of your sources of information and do not show your bias by being afraid to hold your sources governments accountable as well. The Kremlin is not one that should have your backing, unless your involved with organized crime and profit from that. Are you? You certainly show it by having a bias against everything that is West, and your unwillingness to hold to account an actual criminal, corrupt, kleptocratic totalitarian government. I will say some points you make are intriguing, but for the most part they show bias. As I said, I probably won’t change your opinion personal or the persona you portray in your articles, all I can do is show you the path, I cannot force you to walk it. Antidyatel, nice to see you can use insults as part of the basis of the debate. I cannot fault you for being emotional, however, there is a time and place for it. It is interesting to see that you can use them in your attempt at insulting me and ‘bullying’ me, but when I write comments that are critical of the articles author or Mr. Parry or expose some inconvenient truths, the moderator of the comment board seems fine with deleting and blocking my comments, which were not obvious rudeness as you displayed. I did not claim that Ukraine’s military had no active Buk’s in Eastern Ukraine. And from the info I have collected, the locations of those active Buk’s could not have caught the plane flying at altitude of 35k feet and travelling over 500 mph. It’s flight path and their location makes it ALMOST impossible except for an extremely lucky well timed shot. You quote the Russian MOD satellite images released as being part of your evidence, well, did you notice today they have been proven FALSE by multiple investigative bodies? I have much more evidence then just some non nation owned Buk video travelling through some unknown location. That video has been geo located, confirmed, and let me remind you it was videoed missing one missile 12 hours after the destruction through SEPARATIST controlled territory and MURDER of the passengers and crew of MH17. There is a plethora of evidence. And most of it points at the Kremlin. Not at Ukraine. And no, it is not MANUFACTURED FAKE evidence as was presented by the RUSSIAN MOD at that time for public propaganda. As to the location of military equipment owned by Ukraine, their Defense Department has been forthcoming to journalists and investigative bodies to release that info, it helps that you ask the right questions of the right people though. There are many documents about military base equipment, status of that equipment as well as their movements from base to base. Thanks again for the insults, they just show your level of intelligence and method of debate to everyone reading these comments. Thank you for a clearly impassioned, detailed contribution to the discussion re: this tragic event, and the presumably well-intentioned “advice” you have tendered to myself and/or other contributors. From my perspective a couple of things are also pretty clear. With due respect, I believe you have made your point, and you appear to be now repeating your “take” on it all, something I personally like to avoid for what should be obvious reasons. For my part – and for what it is worth – I stand by the content of my article and my very clear explanation of what my purpose and intent was from the beginning. This appears to be something you have overlooked, or it remains at this juncture unclear for you. I also stand fully by my contributions to the discussion, which along with the piece that prompted said “discussion”, you may find it illuminating to revisit. As to how posting the considered, measured, and articulate views of someone who has taken a demonstrably strong interest in this case diminishes my credibility is with respect, drawing a very long bow. I’m at something of a loss as to understanding the logic of any such argument or proposition. Notwithstanding that, I’m moving on. I trust you can too. One final observation, to the extent it is relevant to the discussion thread resulting from my piece: You said, “the West is a strong supporter of the rights of the defendant”. Might I respectfully suggest you try telling that to folks like Jeffrey Sterling, or any number of innocent people who have been ‘renditioned’ during the so-called “War on Terror”. I look forward to your contributions to any of my future pieces Consortium News sees fit to publish going forward. A belated response to the above piece. Many thanks to all those who contributed to what has been a lively debate regarding the controversial issues surrounding this tragic event. Regardless of the nature and substance of the responses, I have both welcomed and appreciated the strong interest. Let me say at the outset, I am not an investigative journalist nor do I purport to have any expertise in this respect. But I didnâ€™t need to be, as the focus of my piece was not so much on what we might call the â€œevidentiary minutiaeâ€. I made my own judgment call on how that was being presented to the public, all the while attempting to view – and present – (a) (the) bigger picture. My focus was less on the specifics of â€œ60 Minutesâ€ segment than it was on the broader implications of segmentâ€™s findings, what significance they might have for the official investigation itself and geopolitical landscape going forward, and what the response from all stakeholders might be. Oh and by the way, the not insignificant matter as to how it has been handled by the MSM from the beginning. If there is one point I do regret not labouring more it is this. In all the argy-bargy over the MH-17 fallout, it is the family members, friends, and loved ones of the victims of the disaster who are looking for explanations and some closure (with many presumably hoping – especially in the absence of such from the official investigation team – they mightâ€™ve received some from the â€œ60 Minutesâ€ segment) that is the one genuinely tragic factor that all too frequently gets sidelined, overwhelmed, and seemingly ignored. With all this in mind, I thought I’d share with Consortium readers a reply/comment from a reader to a version of this piece that was published on Gumshoe News, an Australian based news site (See 1st Link above). With respect to my intention in penning the piece at the outset, it in my view is an excellent summation of the MH-17 situation as it stands, as much for what it says as for who is saying it. The commentary comes from James O’Neill, an Australian based former academic who has practiced as a barrister for the past 30 years in international law, with special interest in international human rights issues and the laws relevant to such an interest. Moreover, Mr O’Neill has taken a particular interest in the MH-17 disaster and the fallout from this tragedy. This was his (verbatim) take. I will however briefly address the issue disclosing the results of the investigation that you mention, and your quote from the Dutch authorities is pertinent in this regard. On 8 August 2014 Ukraine, Belgium, Netherlands and Australia signed an agreement that the results of the investigation into MH-17 would not be disclosed unless all four parties agreed. This is extraordinary as it effectively gives the prime suspect, Ukraine, a veto over the publication of any damaging conclusions about their involvement. I have been pursuing under FOI the terms of that agreement. The battle is ongoing. The main reason advanced by the Australian government is that disclosure of the terms of the 8 August agreement would jeopardise foreign relations. This is of itself extraordinary as there is surely a legitimate public interest in the results of an investigation under ICA Rules into what was foremost a criminal act. Dutch colleagues have faced a similar response under their FOI requests. What is also very important is that the existence of this agreement has been suppressed by the Australian MSM. It is not only the terms that are secret but even the existence of the agreement. Perhaps needless to say the 60 Minutes program made no mention of the agreement. The other point I would briefly make is that the Dutch investigation has done the forensic tests on the fuselage of MH-17. Such tests are capable of determining exactly what those â€œhigh velocity objectsâ€ referred to in the interim report actually were. You can be assured that if those tests confirmed that the source was a BUK missile we would have heard about it long before now. In fact, based on a number of sources, the overwhelming probability is that MH-17 was brought down by a combination of 30mm cannon fire and an air to air missile fired by a jet from the Ukrainian air force. As you know, the Russians gave a detailed press conference on 21 July 2014 setting out their satellite and radar data. That conference received no coverage in the [Australian] media. In the course of their presentation the Russians stated that there was an American spy satellite directly overhead at the time of the shoot down. They invited the Americans to release their data. The Americans have refused. One is entitled to draw an appropriate negative inference from that refusal. My take on your repeating of a comment from another article and standing by Mr. O’neill’s comments, place your own credibility in question. First off, in your verbatim comment, regarding Ukraine’s veto privilege. Ukraine knows they did not do it, and they are scared of Russian propaganda that they have been a victim of during this whole affair, IE Slavyansk crucified child, is the main reason of them wanting to partially control what is released to the public regarding their military operations. They want the truth, and regardless of this agreement, the truth would come out if Ukraine was guilty, too many lives lost, and a global crime of significant magnitude. It would not be released for public consumption, however the investigation results go to the ICC, international criminal court, and IF Ukraine was guilty, it would come out then. Yes, it may be five years down the road before the courts pronounce a verdict, but the families will have their satisfaction. Justice is slow, but as opposed to Russian courts, the Burden of proof remains on the prosecutor, and the West is a strong supporter of the rights of the defendant. In Russian courts, the Burden of proof is on the defendants. They must prove to the judge without a doubt they could not have done the crime and the prosecutor is able to make up all kind of FAIRY TALEs to keep a prisoner in jail. For example Nadiya Savchenko, the first Ukrainian female fighter jet pilot who is also an Iraq war veteran, who was captured by separatists IN UKRAINE, turned over to the FSB, taken across the border into Russia with a bag over her head the whole way, and is currently in jail in Moscow as a political pawn in a mockery of justice perpetrated by the Russian government. I would also add that O’neill’s statement regarding labeling Ukraine as the PRIME suspect, puts perspective on who he is BIASED towards. There has been little if any evidence labeling Ukraine as the PRIME suspect. HOWEVER, there has been a large amount of evidence that places the blame either on the separatists, the Russian mercenaries, or the Russian military itself which would put de facto responsibility on the Kremlin. Second point I would make, is with the autopsies performed they have collected plenty of BUK shrapnel that they can conclusively say it was a BUK, not some airplane as you put out there, damaging your credibility AGAIN. Not one piece to identify a R60 missile, that the SU25 carries, and not any 30mm bullets or fragments. Just a lot of BUK missile fragments and with that they have identified the actual type of missile used. Third point, as I stated elsewhere, why should America release for public consumption and the bloggesphere and for current and future enemies the actual capabilities of America’s satellite images and just maybe the capabilities of actual video or slow motion photography of the incident? It can be released in a closed setting to all involved in the setting of the ICC, and remain classified intelligence. It follows other plane catastrophes, how they are investigated, and how they travel through the courts. It takes time, but Justice will be done. Higgins and others will provide their evidence to the courts as requested, however they have no obligation other then personal to substantiate their claims on their site. They have collected, analyzed, and produced a lot more then many others have. And it has proven to be mostly reliable, however collections from open source can be false, they make an attempt at throwing out the false data. 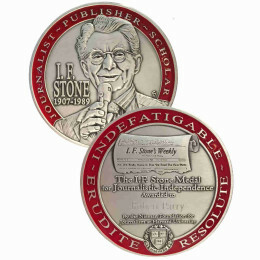 They are not infallible, however they and a few other investigative reporters have been on the ball for the most part. Face it, The evidence so far, places the Kremlin in dire straits, regardless if it was planned or an accident because their BUK operators failed to turn on the ‘friend or foe’ feature, or they were drunk and did not care. I am not saying that Ukraine is not out of the running as a suspect, but there is little so far compared to other data that places blame on them. A smoking gun still might be found, but from all the evidence so far, people can pretty much expect the verdict to not be one the Kremlin likes. RIP victims of terrorism, including the passengers and crew of MH17. The current Ukr scenario implies incomplete BUK system that doesn’t have FoF function. You comment just shows your level. All the available evidence that you claim is not evidence but circumstantial half truths that will only be useful if put into context of properly identified main event. Destruction of the plane. Physics is against current theory with rebels shooting BUK from Snyzneye. So this version of events can be discarded. To accuse rebels in it you will need to make many fancy assumptions. It would still be probable, but version of Ukrs downing the plane with their BUK needs none of those assumptions. Hence, Occam’s Razor helps us to prioritise the theories. Where did you see official report on autopsies that found BUK shrapnel? Who did violate the famous non disclosure agreement? For the version of a Ukrainian BUK to be responsible, they would have to have a reason to transport it to a firing area – I believe the closest has been sitting covered with dust since 2010, a reason to use an anti aircraft missile system in Donbas – widely reported that the only aircraft the separatists had was an antique stolen from a museum that would take considerable work to make fly, or maybe the reason would be Russian aircraft flying in from Russian territory – reports at the time were that Russian aircraft fired across the border, but none actually flew across the border, just along it, and a large amount of circumstantial evidence to support the theory, which is minimal at best, ie no one filmed or photographed a Ukrainian BUK travelling on railroad, trailer, or self propelled in the vicinity. However, there is a reason for the separatists to want to shoot down aircraft – they wanted to stop aircraft delivering troops, supplies, and from firing at separatists locations. There is a wealth of circumstantial evidence that has been collected, that when put together gives the bigger viewpoint of the separatists or Kremlin actors had a part to play. Did Ukrainian’s have BUKs? Of course. Most of them have been sitting collecting dust since yanukothief and his cronies from the Kremlin instituted policies to weaken Ukraine’s military to broken down equipment so they could embezzle funds that were supposed to be going to Ukraine’s military structure to maintain and resupply Ukraine’s defense. Many of them have not moved, like a lot of other Ukrainian military equipment due to flat tires, seized engines and other items. Fortunately, Ukraine documented this information and has turned it over to the relevant investigative bodies. They had to put money into the items the needed, and they did not need anti aircraft, The Kremlin was not supplying separatists aircraft or helicopters, just tanks, troops, intelligence, and money. The communications channels were watched on both sides from outsiders. There is NO communication on the Ukraine side related to people celebrating the downing of a Russian military cargo plane. There is multiple captures of separatists and Kremlin communications however of the shooting down of a Ukrainian troop carrier. Yes, this is all circumstantial, and it will come out in the courts of painting the larger picture, and when all the evidence collected is put together as a whole, the jury will make their verdict. But to be honest, I have yet to see one piece of evidence that place any documented facts against the Ukrainian military. Everything put out their by the Russian MOD has been a lie, from fake satellite images, faulty Russian Radar image analysis, false hypothesis such as the SU25, to the Kremlin lying about no little green men being Russian military helping with the occupation and referendum fraudulent voting in Crimea, to stories about Ukrainian military using phosphorus munitions, to fake propaganda flowing out of almost every orifice of the Kremlin to cover up their involvement inside Ukraine. The Kremlin only has theories with little or no evidence, and most of that is manufactured by the Kremlin. The narrative theory against them has a lot of evidence. The courts will make the decision using all collected evidence. Some of it will throw out due to being tainted, to being lies, or to not being conclusive. Will they throw out the video of the BUK missing one missile? Maybe. The truth will come out, and I would suggest for you to plan your future as if the Kremlin was guilty and what would you do if that happens. Their bond rating is lower then junk, their economy is in shambles, what would a TRILLION USD lawsuit do to the economy? What would the international isolation because of Kremlin policies in Ukraine, including MH17, do to your life as a Russian? What kind of Russia will your grandchildren live in, if the Kremlin is guilty? If your an employee of one of the many ‘troll farms’ that the Kremlin is employing, how will your conscience be if they are actually guilty? How will your family react to you being a supporter of a flawed government and an employee of a ‘troll farm’? Think about your future, and your children’s future. Just a few words of advice. Wow. You are deliberately ignorant or smth. It is 16 July press conference after which Ukr buks were moved in closer to Russian border to shoot down alleged Russian fighter jets. A relocation clearly shown by satellite images of Russian MOD. Pretty cohesive chain of events. And all you have is a video of BUK system going through Ukr controlled territory. Nice. What will you do when Ukr guilt will become impossible to deny? The Australian “60 Minutes” program is little more than an infomercial for fake â€œgeo-location expertâ€ and fake â€œindependent investigative bloggerâ€ Eliot Higgins (pseudonym Brown Moses), and his fake â€œcitizen journalist teamâ€ at Bellingcat. My mention of Higgins and Bellingcat in no way implies a criticism of your fine work. Obviously I am suggesting this is an area for additional investigation. Propaganda 3.0 deception operatives such as Higgins, Bellingcat and clones manipulate “publically available” information and distort the concept of â€œevidence”. The burden of proof is the obligation of a party in an argument or dispute to provide sufficient evidence to shift the other party’s or a third party’s belief from their initial position. The burden of proof must be fulfilled by both establishing confirming evidence and negating oppositional evidence. Conclusions drawn from evidence may be subject to criticism based on a perceived failure to fulfill the burden of proof. – On whom does the burden of proof rest? – To what degree of certitude must the assertion be supported? The latter question depends on the nature of the point under contention and determines the quantity and quality of evidence required to meet the burden of proof. In a criminal trial in the United States, for example, the prosecution carries the burden of proof since the defendant is presumed innocent until proven guilty beyond a reasonable doubt. Similarly, in most civil procedures, the plaintiff carries the burden of proof and must convince a judge or jury that the preponderance of the evidence is on their side. Other legal standards of proof include “reasonable suspicion”, “probable cause” (as for arrest), “prima facie evidence”, “credible evidence”, “substantial evidence”, and “clear and convincing evidence”. In a philosophical debate, there is an implicit burden of proof on the party asserting a claim, since the default position is generally one of neutrality or unbelief. Each party in a debate will therefore carry the burden of proof for any assertion they make in the argument, although some assertions may be granted by the other party without further evidence. If the debate is set up as a resolution to be supported by one side and refuted by another, the overall burden of proof is on the side supporting the resolution. One must always remember that the burden of proof is on the person making a contentious claim. Within science, this translates to the burden resting on presenters of a paper, in which the presenters argue for their specific findings. This paper is placed before a panel of judges where the presenter must defend the thesis against all challenges. When evidence is contradictory to predicted expectations, the evidence and the ways of making it are often closely scrutinized (see experimenter’s regress) and only at the end of this process is the hypothesis rejected: this can be referred to as ‘refutation of the hypothesis’. The rules for evidence used by science are collected systematically in an attempt to avoid the bias inherent to anecdotal evidence. These sources are infiltrated to “deny, disrupt, degrade, deceive”, taking advantage of “information overload”. A person can have difficulty understanding an issue and making decisions that can be caused by the presence of too much “publically available” information. Information overload can lead to â€œinformation anxiety,â€ which is the gap between the information we understand and the information that we think that we must understand. Pentagon and Western intelligence deception operatives such as Higgins and Bellingcat are positioned as “citizen journalists” helping to organize information to facilitate clear thinking. Deception operatives Higgins and Bellingcat collaborate directly with the George Soros-funded Organised Crime and Corruption Reporting Project. Set up to support regime change projects stretching from Eastern Europe to Central Asia, the OCCRP lists among its â€œinvestigative centersâ€ and â€œindependent mediaâ€, The Kyiv Post and Slidstvo.Info in Ukraine, and Novaya Gazeta in Russia. The Propaganda 3.0 strategy of Higgins and Bellingcat is to keep throwing more deceptive Western intelligence information — BM (â€œBrown Mosesâ€ by any other name) — against the MSM and social media wall and see what sticks. Why does t take so long for a comment to appear here? There’s an update from Michael Usher of â€œ60 Minutesâ€ about the reaction to their MH17 film. He talks of “Kremlin’s stooges” and “Russian puppets” but he targets the “supposedly respected” Robert Parry specifically. He introduces a video clip, saying “Here’s footage we shot”, showing two billboards, and he points out which one appeared in the original Buk video in Luhansk. However no part of that footage of that “Buk video” billboard appeared in the program. That billboard was almost fully out of view in the actual 60 Minutes program, where the camera was clearly aimed at the other billboard in three different scenes. (see my comment https://consortiumnews.com/2015/05/20/you-be-the-judge/#comment-194681 ). The 60 Minutes team was clearly confused when making the film because their “geo-location experts” made an inaccurate calculation. This resulted in real discrepancies. Usher’s comments suggest that the fact that “the original video was shot through trees from an appartment we couldn’t access” forced them to shoot the scene the way they did, from the wrong angle and with the wrong billboard. That suggestion is misleading, as explained below. It’s even more misleading of him to say “our vision was simply shot from a different angle” to the Buk video, when the actual scene is almost completely different as well. If they were not confused about the location, they could have shot a scene from approximately the correct angle, with the correct billboard and some other identifying features. They only needed to move a number of metres back from the road and turn the camera to the right. If they had just owned up to that minor error, nobody would been too bothered and that would have been the end of the matter. Instead, Usher’s update tries to cover up a mistake that is obvious to anyone who has studied the location and identifying features of the Buk video in detail. What stated as an inaccuracy in the MH17 program has now turned into deliberate disinformation in the update. To use his own words targeted at Mr Parry, I’m “calling fake on” Mr Usher . It has NOT been established that the Russian insurgents had access to a BUK SAM system at the time MH17 was shot down. That was an allegation by Ukraine and the US based on, you guessed it, MSM and social media. Higgins, Bellingcat and clones love to do this sort of data dump. .. and you can waste your time discovering that they’ve already been debunked. On June 29, the separatists claimed to have captured a BUK, and even posted pictures. However, these pictures turned out to be from 2010, and from an airbase the separatists never captured. “That was an allegation by Ukraine and the US based on, you guessed it, MSM and social media. and according to Der Spiegel, also by the German BND (German’s CIA). But Bellingcat and other open source (social media) sites never made that claim. In fact, they claimed the OPPOSITE : That the separatists did NOT obtain a working BUK system on June 29.
which shows convincingly that there is no evidence that airbase A-1402 (captured by separatists in June) ever had any BUK system, and that the pictures that the separatists present are from airbase A-1428 which the separatists never captured. Moreover, the BUK visible in at airbase A-1428 was not captured either, and appears to be inoperable, since Google Earth history shows that it has been standing in the same spot since at least May 2014.
and their boorish barrage of Bellingcat bowel movements (aka “Brown Moses”). you guys done been proved wrong, again and again and again. Thank you Abe, for showing you have NOTHING but ad hominem arguments. Yet Abe is unable to provide even a SINGLE case where Bellingcat’s open source evidence was proven wrong. Abe, I’m sorry, but it may be time that Robert Parry would actually show some EVIDENCE for his unsubstantiated statements against 60 minutes and Bellingcat’s open source journalism…. You know, ANY evidence, apart from the “I know important people that know important things, that are so important that they can’t disclose them” argument that Robert Parry has been peddling since the 17th of July 2014. I believe Parry’s actual line is not the “I know important people yadda yadda” one, but that Western governments are known chronic BSers and demonizers to serve their own petty interests, who are certainly not above greusome and inhumane acts, and thus should be held to a higher standard of putting up some real evidence or shutting up. If you’re just trying to be skeptical, it’s a different process than when you’re trying to accuse, since your goal is only to call the argument into question. In that case, “I know important people…” mimics the (lack of) strength of the MSM’s “we all know Russia did it” logic. Bellingcat is never wrong? Well, as long as we’re making completely unbiased statements, my intuition is rarely wrong either. I, like most Americans, am horrified by the murder of 300 innocents, and would appreciate the government not be so glib about it. 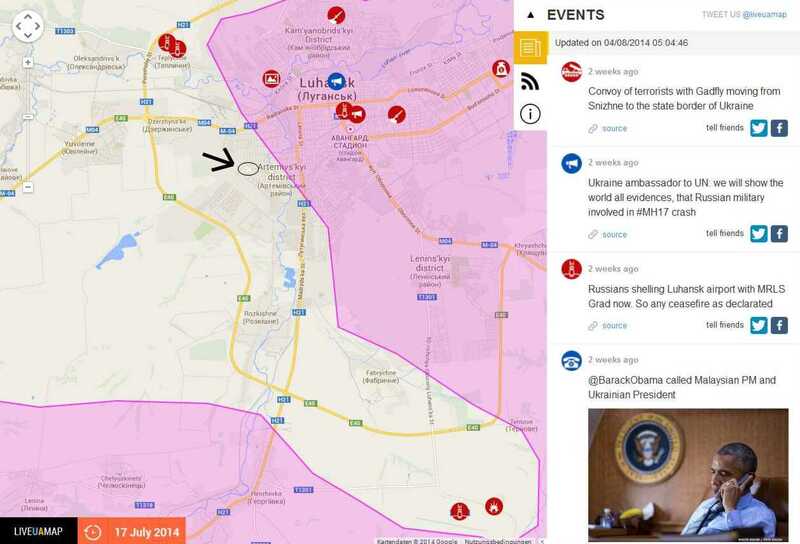 Summary of reported and confirmd events before and after the shooting down of MH17. It has been established that both Ukraine and the Russian insurgents had access to a BUK SAM system at the time MH17 was shot down (the Ukrainians never hid that fact as they have several BUK SAM systems but nothing to shoot down). 3. TV Zvezda (Russian Ministry of Defence) also ran a report that the insurgents had captured a BUK. The Western theory at the time was that the story has been planted by the Russian authorities so that Russia could supply the insurgents with a BUK, This is because Kiev hadn’t reported the capture of the base or the loss of the BUK (presumably out of embarrassment). 4. On July 14th, it was reported in a variety of media, both Kiev Russian and Western, that an An26 transport plane had been shot down by the insurgents in the Lugansk region using something “heavier than a MANPAD” (the plane was reportedly flying at 6,500m, impossible for a MANPAD to reach). There were other eye witness reports (and confirmed, geolocated photos) of a BUK being unloaded in Snezhnoye. On Sept 9th A credible BBC documentary report (Panorama) also geolocated absolutely and exactly where the BUK had been filmed/photographed in rebel-held territory on the day that local eye witnesses had seen a BUK in the area/town about 10 miles from the crash site a few hours before the plane was shot down. 6.On July 17th, shortly after MH17 was shot down somebody posted the infamous “do not fly in our sky” post on Strelkov’s Vkontakte account (a reliable source of info about insurgent activities. Even it wasn’t Strelkov himself who posted, the account was frequently used by the insurgents to disseminate information). (post was deleted a few hours later when reports emerged that a passenger plane had been shot down. Screenshots still available). 7. On July 17-18th, a large number of Russian and Belarussian media that the insurgents frequently used to disseminate info also reported that another “AN-26” had been shot down. (I read the reports myself). Needlesstosay, none of this proves as yet that the insurgents shot down MH17, but it proves by their own admission that the insurgents were in possession of a BUK on the same day as the crash and it (or several) were spotted only 10 miles from the crash site. The weight of evidence suggests that MH17 was shot down by the insurgents by terrible mistake and when their allies realised this, the obfuscation and cover-up began. All incriminating online evidence was immediately deleted and the same BUK on the same truck was removed in great haste across the Russian border minus one of its missiles (on the same truck that was photographed in Torez and other places). About a week after the crash, the Russian authorities started circulating “false flag” stories on the Internet, specifically that they had photographic evidence of a Ukrainian SU-25 tailing MH17, but by then it was much too late. For one thing, an SU-25 doesn’t have the firepower to shoot down a Boeing 777 (according to military experts — but that’s another story), especially not at the distance that the Kremlin was claiming. I can obviously provide links to all the above information (most of which is freely available if you speak Russian and English), and I’m looking forward to the truth coming out in the official Dutch investigation report this year. RIP MH17. The destruction of MH-14 was a propaganda plum for Washington, which had been waging a propaganda war for months. By mid-July 2014, the Armed Forces of Ukraine were in the third month of their so-called Anti-terror Operation (ATO) against the people of eastern Ukraine. Ukrainian government forces continued air and artillery strikes at pro-Russian separatist bases after President Petro Poroshenko vowed to rid Ukraine of “parasites”. Armed with equipment obtained from numerous Donbas military bases and captured in battle with ATO forces, and aided by volunteer units from Russia, the pro-Russian militias in Donetsk and Luhansk strongly defended their regions. Russian President Vladimir Putin said Moscow would continue to defend the interests of ethnic Russians abroad – up to 3 million of whom lived in the east of Ukraine. Russia began a criminal investigation of the commander of the Aidar Battalion, a volunteer military unit with links to the far-right, supported by Ukrainian oligarch Ihor Kolomoyskyi, for organizing the killing of civilians in eastern Ukraine. In addition to the Ukrainian ground troop casualties, the Ukrainian Air Force suffered numerous losses of both helicopters and fixed-wing aircraft. The worst death toll took place on 14 June when separatist militia, using 9K38 Igla (Needle) MANPADS (man-portable air-defense system), shot down an Il-76 transport plane near Luhansk Airport with 49 crew members killed. The Ukrainian public was growing weary of the escalating casualties, military equipment losses and cost of the ATO miltary actions. Meanwhile, Washington was having difficulty garnering European support for a third round of economic sanctions against Russia. Germany had recently expelled the Berlin station chief of the United States Central Intelligence Agency following a series of spy scandals. The German government accused the NATO supreme commander, American General Philip Breedlove, of disseminating “dangerous propaganda” on the extent of Russian military involvement in eastern Ukraine, and trying to undermine a diplomatic solution to the war. On July 14, a Ukrainian military An-26 twin-engined turboprop transport aircraft crashed near the village of Izvaryne near the Russian border, killing both pilots and most of the 8 member crew. The Ukrainian Defense Ministry claimed the aircraft was “shot down” from an altitude of 6500 meters, leading to speculation the plane was hit by a “Russian anti-aircraft rocket”. The flight ceiling of the separatist Igla MANPADS was 3500 meters. U.S. officials said they had “evidence” the aircraft had been fired on from inside Russian territory, then switched stories and insisted that the aircraft was shot down by a BUK surface-to-air missile from separatist-held eastern Ukraine. On July 15, a Ukrainian airstrike on the separatist-held town of Snizhne killed at least eleven civilians. On July 16, the US widened sanctions against Russia, targeting major banks and energy companies, Russian defense industry, and individuals it said were responsible for the continuing support of the separatists in eastern Ukraine. Germany Chancellor Angela Merkel criticized Russia for failing to meet commitments to end the violence in Ukraine, and said Russia might face further EU sanctions. 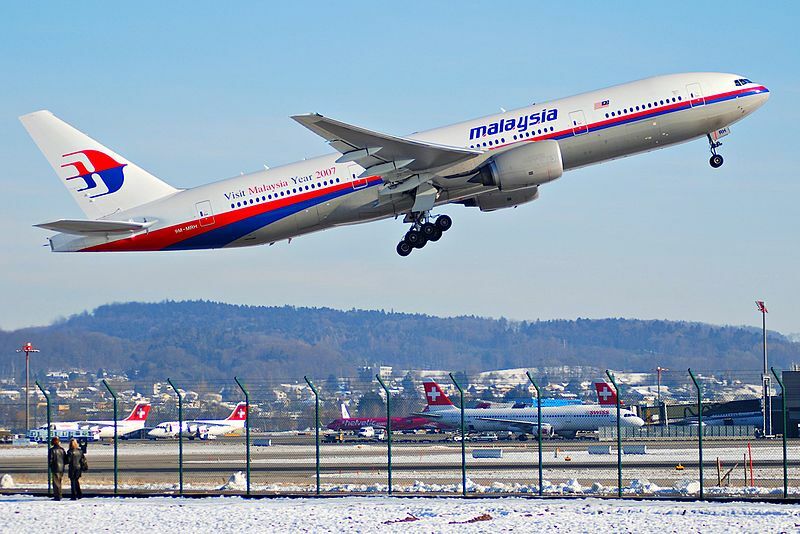 On July 17, Malaysia Airlines Flight 17 carrying 298 people from multiple countries crashed near Hrabove in Donetsk Oblast, on a flight from Amsterdam to Kuala Lumpur. Ukrainian officials again claimed the aircraft was “shot down”. On July 18, US President Barack Obama says the United States has “increasing confidence” that that MH-17 was shot down by a BUK missile that came from Russian separatists in Ukraine – and that Russia bore responsibility for the crisis. The world was in a frenzy. Unsubstantiated allegations about who — and what — shot down MH-17 provided political support for the EU to introduce the third round of sanctions against certain sectors of Russia’s economy, including the financial sector (all majority government-owned Russian banks), trade restrictions relating to the Russian energy and defense industries, and additional individuals and entities designated under the EU asset freezing provisions. Where is your evidence that U.S. officials switched stories and insisted that the aircraft was shot down from separatist-held eastern Ukraine ? The Ukrainian air force insists that it was not flying on that morning, since the fate of the pilots from the AN-26 the day before was not yet determined. So what makes you believe that that attack was from a Ukrainian jet, and not a Russian one ? Similar to the Russian jet that shot down a Ukrainian jet on July 16 over Eastern Ukraine. The Ukrainian Air Force is quite fond of insisting that it wasn’t flying. The Ukrainians have been seeing Russian invasions everywhere, including in the air. Abe, the Kremlin can cry all it wants about the 5 billion dollar coup d’etat in Ukraine. However since the fall of the wall USA has given more then twice that to Russia to help with the transition to normality, the prevention of proliferation of nuclear technology, and the protection and promotion of human rights inside of Russia. That is what the money was used in Ukraine for as well since 1991. Ukraine gave up the worlds THIRD largest arsenal of nuclear weapons and that technology at the time. I think it was a good use of the USA’s foreign policy budget. The real cause of the conflict is not the USA promoting HUMAN RIGHTS and preventing NUCLEAR PROLIFERATION – I think we both can agree these are good things and Russia’s and Ukraine’s human rights issue is a thing that needs to be constantly pressed. After all 300 INVESTIGATIVE journalist killed in Russia since 1991. The real cause was the corruption in the elite and governing bodies of both Russia and Ukraine. Ukraine had yanukothief whose policies, laws, and actions empowered him and his ‘family’ to embezzle some 100 BILLION USD, not Hyvrnia, in 3 years. He could not have done this without the Kremlin and Moscow’s main henchman, of organized crime, putin’s approval. After all, putin and Moscow’s elite criminals had to get their slice of the pie. That is the real reason WHY Maidan happened. That is the real reason the people came out in overwhelming numbers to protest and risk their lives since November of 2013. If yanukothief had not got caught with his hand in the cookie jar, or he had not put it in their in the first place, Maidan would have never happened. The USA did not tell him to put his hand in the cookie jar and force him to participate in money laundering and other organized criminal activities and to buy SOLID GOLD TOILET SEATS. MOSCOW did with Putin’s constant persuasion. Ukraine is a smart bunch of people, they figured it out on their own and stood up to the corrupt elite in Ukraine and said enough is enough. Even though Nuland was there she had little influence with controlling the actions of the people of Ukraine who decided they want a better future for their children and are sick and tired of the Moscow umbrella and the Moscow extortion and the Moscow influence in their daily lives. Yes, it all stemmed from Moscow. The people Putin and you should be blaming all live in and around Moscow. That is the root cause, Moscow and the taint that goes with everything it touches. Which can also be seen in much of the articles on consortiumnews, with its proKremlin leanings in much of its commentaries and unwillingness to judge – or express and opinion other then it is the West’s or Ukraine’s fault – the Kremlin and Moscow elite for ANYTHING and hold their feet to the fire, even though many articles discuss Russia. They even go as far as promoting actual confirmed Kremlin propaganda and LIES. I have yet to find one article that does criticize Putin or his cronies. However I have seen multiple articles that are pro Kremlin and anti Washington in nature not one is critical of a Kremlin policy. Is Russia a place worth promoting? Is having a former KGB agent as President there been a good thing for Russia? Anyways, I am glad I could make you laugh. You have provided quite a few with statements and hyperlinking articles that stretch the imagination and make me amazed at what people put out there as credible justifications for their opinions. If that is all you have, I am surprised you are able to believe in it, since you do ALMOST sound intelligent and are able to do some critical thinking. Moscow’s blood money runs deep, and the unbelievable stories, with little or no evidence or facts, out of the Kremlin that you repeat almost makes me wonder if you and Parry have your hands out regularly. The one thing that is clear Abe, is that the USA has stayed in the background of the whole Ukraine Russia affair since the beginning. They are leaving Russia to fall on their own sword and to be there to pick up the pieces when embezzler Humpty Dumpty Putin falls off his wall. Being the only Superpower of the world right now, the USA has a role to play in global politics, however, BHO has repeatedly decided his foreign policy was one of slow walking and allowing Europe to be the MAIN player in this affair. Even the UK, who usually is looked to as the leader in European affairs has stepped back and allowed Germany, Poland, France, Belarus. Ukraine and Russia to be the ‘main players’. The rest of the nations have gone along with the sanction. The rest of the nations refuse to acknowledge the Crimean referendum. And guess what, even Belarus who is touted to be a Communist dictatorship refused to acknowledge it as well, regardless of their close ties to Russia. So as long as embezzling, drug smuggler, and wannabe mafia Don running a country Putin and the corrupt Kremlin elite neocon, warhawks, and fascist liberals have a say in what Russia does and they continue acting as they do, Russia has put itself on a path to isolation, bankruptcy, and the intellectuals of Russia immigrating to somewhere else leaving Russia will a bunch of dullards who like China, Iran, and North Korea will have to steal technology from other sources to stay relevant. Russia has a path forward, but it is being an equal of Europe and other countries, however with Putin in charge, he wants to be the ruler of all that was USSR again – and potentially the Eurasian cooperative. Or a hybrid ruler, as he was in much of 2000’s with his money laundering schemes which much of European elite with criminal leanings also took advantage of. Russia needs to give up its hybrid war of supplying troops and equipment across Russia’s highways and across the Ukraine Russia border which they mostly control, along with Soldiers of Fortune and active recruiting in various areas of Russia through their military agencies. And allow another referendum in both Crimea and Donbas that has international observers and not just those that Russia picks itself. Those would be a start of Russia reintegrating itself with the world. With Putin and the existing structure in the FSB, the MOD, and the Duma, as well as the Kremlin, I doubt it will happen. But Russia faces a bleak future if it does not. The devil is in the details, and anyone with half a lick of commonsense and knowledge sees this. That is unless your someone like Putin with his 200 billion illegally acquired criminal enterprise fortune who has a lot to lose, as well as his other elites in Russia who do not want to lose their power. Revolution in Russia this summer or not. That is what I believe will happen depending on how the Kremlin acts. At this juncture the only thing clear is that Washington has finally realized the stupidity of its provocations against Russia in Ukraine and globally. What their next scheme will entail is not yet clear. Clear is that a dramatic policy shift has been ordered on the Obama administration from the highest levels of US institutions. Nothing else could explain the dramatic shift. If sanity replaces the neo-con insanity remains to be seen. Clear is that Russia and China are resolute about never again leaving themselves at the mercy of an incalculable sole superpower. Kerryâ€™s pathetic attempt at a second Russia â€œresetâ€ in Sochi will bring Washington little at this point. The US Oligarchy, as Shakespeareâ€™s Hamlet put it, is being â€œhoist with their own petard,â€ as the bomb maker blows himself up with his own bomb. I think that we are in danger of being distracted from the main issue, which is that either Kiev or the CIA or both conspired to shoot down a civilian airliner as a ‘provocation’ or False Flag – both to enable the attack on the Donbass to proceed and to escalate the attack on Russia and sanctions. The degree of involvement of other parties in this crime, such as Australian leaders remains uncertain, but we must be fools to think they don’t know now as much as the US intel agencies know; this makes them all on the list for the ICC. It is impossible to listen to the pronouncements of these criminals in our midst on ‘counter-terrorism’ or ‘IS’ without considering their evident record and ongoing commitment to the aggressive US agenda. Greg’s article is fine as far as it goes, even though that’s not quite far enough in stating the truth of the matter, now beyond dispute. The actual, confirmed evidence suggests otherwise. The Russian insurgents – by their own admission – took possession of at least one Ukrainian BUK SAM system on June 29th, 3 weeks before MH17 was shot down. This was widely reported in the Russian media and the info is still available. The false flag stories that began to emerge a few days after MH17 went down suggested that MH17 had been shot down by a Ukrainian SU-25, but the SU-25 doesnâ€™t have the firepower to shoot down a Boeing 777, especially not at the distance that the Kremlin was claiming. In fact, military experts laughed off the story. The SU-25 can be armed with air-to-air missiles such as the R-60 Aphid, but its 3kg warheadâ€”compared with the SA-11 Bukâ€™s 70kgâ€”is extremely unlikely to have done the damage visible on MH17. Eyewitness and photographic evidence from the crash site demonstrates a very broad and deep fragmentation pattern. Both the Bukâ€™s 98M38 or 98M317 missiles and the R-60 are designed to explode just before impact to blast the target with shrapnel, but the size, pattern and, above all, quantity and kinetic energy of the two weaponsâ€™ warheads are very different. 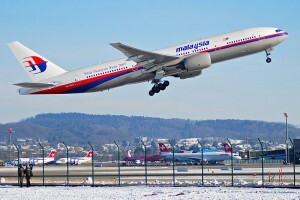 Nor necessarily is an R-60 at all likely to have brought a Boeing 777 down with one hit either. The KAL 007 747 brought down by Soviet fighters in 1983 was hit by two heavier R-98 missiles (with 40kg warheads) and still didn’t suffer the immediate, catastrophic destruction evident for MH17. Overall, the damage clearly points to a much larger weapon than the R-60. There is ZERO actual, confirmed evidence that the separatists in eastern Ukraine were in possession of an operational BUK missile launcher or system, before or after MH-17 was destroyed. “The Russian insurgents â€“ by their own admission â€“ took possession of at least one Ukrainian BUK SAM system on June 29th” is the easiest to debunk hoax of Washington’s MH-17 propaganda war. The Donetsk People’s Republic forces had taken possession of numerous Ukrainian military bases in their battle with Ukrainian ATO forces. On 29 July, 2014, web portal Rusvesna announced that separatist forces had taken possession of “Base Ð-1402” acknowledged as a BUK missile base. Ð’Ð¾Ð¸Ð½ÑÐºÐ°Ñ Ñ‡Ð°ÑÑ‚ÑŒ Ð1402 (Ð”Ð¾Ð½ÐµÑ†ÐºÐ¸Ð¹ Ð·ÐµÐ½Ð¸Ñ‚Ð½Ñ‹Ð¹ Ñ€Ð°ÐºÐµÑ‚Ð½Ñ‹Ð¹ Ð¿Ð¾Ð»Ðº) Ð±Ñ‹Ð»Ð° Ð¿ÐµÑ€ÐµÐ´Ð¸ÑÐ»Ð¾Ñ†Ð¸Ñ€Ð¾Ð²Ð°Ð½Ð° ÑÑŽÐ´Ð° Ð¸Ð· ÐžÐ´ÐµÑÑÐºÐ¾Ð¹ Ð¾Ð±Ð»Ð°ÑÑ‚Ð¸ Ð² 2007 Ð³Ð¾Ð´Ñƒ. Ð’ Ð·Ð°Ð´Ð°Ñ‡Ð¸ Ð²Ñ…Ð¾Ð´Ð¸Ñ‚ Ð¾Ñ…Ñ€Ð°Ð½Ð° Ð²Ð¾ÑÑ‚Ð¾Ñ‡Ð½Ñ‹Ñ… Ð³Ñ€Ð°Ð½Ð¸Ñ† Ð³Ð¾ÑÑƒÐ´Ð°Ñ€ÑÑ‚Ð²Ð° Ð¸ Ð·Ð°Ñ‰Ð¸Ñ‚Ð° Ð²Ð°Ð¶Ð½Ñ‹Ñ… Ð¿Ñ€Ð¾Ð¼Ñ‹ÑˆÐ»ÐµÐ½Ð½Ñ‹Ñ… Ñ†ÐµÐ½Ñ‚Ñ€Ð¾Ð² Ð”Ð¾Ð½Ð±Ð°ÑÑÐ° Ñ Ð²Ð¾Ð·Ð´ÑƒÑ…Ð°. Ð—Ð´ÐµÑÑŒ Ð´Ð¸ÑÐ»Ð¾Ñ†Ð¸Ñ€ÑƒÑŽÑ‚ÑÑ Ð¾ÐºÐ¾Ð»Ð¾ Ñ‚Ñ€ÐµÑ…ÑÐ¾Ñ‚ ÑÐ¾Ð»Ð´Ð°Ñ‚ ÑÑ€Ð¾Ñ‡Ð½Ð¾Ð¹ ÑÐ»ÑƒÐ¶Ð±Ñ‹. Ð£ÐºÐ¾Ð¼Ð¿Ð»ÐµÐºÑ‚Ð¾Ð²Ñ‹Ð²Ð°ÐµÑ‚ÑÑ ÑÐ¾ÑÑ‚Ð°Ð² Ð¸Ð· Ð±Ð¾Ð¹Ñ†Ð¾Ð² Ð—Ð°Ð¿Ð°Ð´Ð½Ð¾Ð¹, Ð’Ð¾ÑÑ‚Ð¾Ñ‡Ð½Ð¾Ð¹, Ð¦ÐµÐ½Ñ‚Ñ€Ð°Ð»ÑŒÐ½Ð¾Ð¹ Ñ‡Ð°ÑÑ‚ÐµÐ¹ ÑÑ‚Ñ€Ð°Ð½Ñ‹ Ð¸ ÐšÑ€Ñ‹Ð¼Ð°. Ð’ Ñ†ÐµÐ»Ð¾Ð¼ Ð·Ð°Ñ…Ð²Ð°Ñ‚Ñ‹Ð²Ð°ÐµÑ‚ 10 Ð¾Ð±Ð»Ð°ÑÑ‚ÐµÐ¹ Ð£ÐºÑ€Ð°Ð¸Ð½Ñ‹. Military unit A1402 (Donetsk anti-aircraft missile regiment) was relocated here from Odessa region in 2007. The task is to guard the eastern borders of the state and protection of important industrial centers of the Donbas from the air. It deployed about three hundred conscripts. Mans part of the soldiers of Western, Eastern and Central parts of the country and the Crimea. In general, it captures the 10 regions of Ukraine. No detailed information was given about the number or condition of equipment or vehicles, if any, captured at the base. 6 photos appear on the Rusvesna page. It is by no means clear that any photo depicts the presence of equipment at the base when it was captured by the separatists. At least one image was clearly a stock photo, depicting a target acquisition radar (TAR) vehicle… parked in the snow. No, it does not snow in Ukraine at the end of June. The announcement was repeated pro forma on a couple of Russian news sites. After having followed American, British, German, Russian and Ukrainian media for the several months the only thing that really surprises me is that people like you â€“ who consider themselves democratic and educated â€“ still believe the mainstream bullsh*t about the difficult fight for freedom and democracy in Ukraine (â€¦ and in Afghanistan, Iraq, Libya, Syria, Iran and so on). Well, 85% of the American soldiers who fought in Iraq believed that 9/11 had been Saddamâ€™s fault. Yet it does not change the fact that it had not. People who were jumping at the Maidan honestly believed that they would be able to travel visa-free across Europe (in order to work there) and that all their troubles were actually Putinâ€™s fault. And despite all these facts (that have nothing to do with moral values, democratic decision making and freedom of speech) you are shouting â€œYou have choices of who you back, Moscow and Kremlin corrupt elite should not be one of them.â€ I really wish the world was so simple but it is not another Rambo movie with clearly defined â€œgoodâ€ and â€œbadâ€ guys. And if after all these undeniable facts you still insist that Ukrainian conflict is about values then really need to grow up. Read Noam Chomsky, Michel Lueders, Daniele Ganser, learn what peak oil is, read Zbignew Brzezinskiâ€™s handbook on American geo-politics â€œThe Grand Chessboardâ€. There are no good guys among global players. But we can do better if we stop believing the â€œour valuesâ€ talk and start investing more tax money in schools, climate, and energy research than in weapons and propaganda wars. Were you guys born under a rock? In a cabbage patch? Why should the USA provide any evidence for PUBLIC dissemination? Why would they want the public to know their satellites can video someone outside and fairly accurately see the numbers on the uniforms of the Russian military that fired the BUK missile at MH17? They can provide that info to the international courts, without releasing some military secrets of what they have to the PUBLIC at large and enemies of the USA or future enemies of the USA. The public until the court case happens has to use the evidence they can find to ATTEMPT to figure out what is going on. That is what Higgin’s Bellingcat is doing and he is doing it better then most other investigative journalists and Bloggers attempting to make a name for themselves. The Kremlin is the most likely suspect since they have been repeatedly caught providing fake and photo shopped satellite photos for public dissemination. They have been repeated caught by various surveillance means supplying the ‘separatists’ with info, equipment, money, intelligence and troops. AND even a little firing across the Ukraine border to destroy Ukrainian military in various locations. By Ukraine and Russia being the prime suspects in the downing of the aircraft, investigators look at both of them and judge the evidence provided. That is what Bellingcat’s investigators do. Because we all have questions, who and why. Ukraine has provided quite openly where ALL of their BUK’s were and what state of repair each one is in. When one was captured by separatists, they notified the world of it. Russian troops and SOF and separatists were being killed regularly by Ukraine’s use of aircraft in Eastern Ukraine. Russia decided to respond, provided MANPADS (lethal aid that Russia condemns if the ‘West’ thinks of supplyiung Ukraine) and the BUK’s and Russian trained crews to operate these million dollar pieces of military hardware. They shot down a lot of Ukrainian planes and they knew Ukraine had more and since the GRU and Ukraine had a lot of the same info, they knew exactly what type and how many they had. Russia got caught sending in 3 or more different BUK systems across into Ukraine. Bellingcat has identified by open source, ie whatever people post from selfies they took, the exact BUK that drove across Russian highways into Ukraine and then back to its base inside Russia. That is good research method, and that is what people in the Pentagon are doing as well. They have collected a lot of overwhelming evidence that the Kremlin is guilty of supplying the BUK, the troops to man it, and the main question that is left is who gave the order to fire. Was it Girkin? the mastermind of Crimea and invlved in Serbian war crimes and involed in Donbas leadership? The guy who has many connections to the Kremlin? and a former Russian GRU intelligence agent to boot? Was it from Russian MOD? Even now Russian MOD who promoted and faked some of their ‘facts’ for public dissemination have changed their tuner from it being an SU25 aircraft with a heat seeking R60 missile, to recognizing what most of the world already knew – except for those sheep that believe anything the Kremlin puts out because it is anti Capitalism, antiWest, antiMSM, and antiUSA. MH17 was not ‘crashed’ as Maybury makes point of in his caption for his little photograph, and it was not shot down by a fighter jet. It was blown out of the sky and almost 300 people MURDERED by a missile launched from a BUK launcher. The motive is theirs, the equipment that was photographed with one missile missing the day after 300 people were MURDERED, which was photographed multiple times with the netting over the missiles before the destruction of MH17 is theirs. The intercepted conversations some released to the public, some not, were theirs. The public evidence, much of which Bellingcat’s contributors, analyzed and collected, so far is 98 percent against the Kremlin, which is a more actual figure then the the numbers released for the voting totals of the Crimean referendums or Russia’s last Presidential election. I could add North Korea’s elections as well as 100% voting for the current leader there, but that is another discussion. Abe you act like most propagandists, you attack the guy you hate instead of his arguments and facts that are presented. You attack his motif and not the actual facts he presents, which are also facts the regular public can collect if they have the time, knowledge, patience, and contacts. You cannot change facts, and that is what Higgin’s presents. You cannot change the evidence, but what you attempt to do is discredit where you can the ‘prosecutor’ and if you cannot do that, you attempt to challenge the analysis with some whatif stories from your imagination that have little evidence backing them up. Throw it at the walls of public opinion and see if it sticks. What you and the other Kremlin trollops and propagandists fail to realize is in most cases you end up loosing because you cannot fight the truth without buying the jury also. You act like a defender who hopes if he gets 1 person on the jury to have a shred of doubt, the trial is thrown out. The facts will come out with the court case, the Kremlin will be sued for over a trillion dollars, Putin will be put in jail for the rest of his life or hung, and Russia will become more bankrupt and isolated then it is already. The sad fact is, in another 20 years Russia will have to sell itself like a streetwalker to China more then likely to pay its debts. And the only way that will change is if Russia gets rid of all its Moscow corrupt elite capitalists, and neocons as you like to say, and their warhawks inside the Duma, and actually change as Ukraine is attempting to do. You have choices of who you back, Moscow and Kremlin corrupt elite should not be one of them. To each their own. The strategy with Eliot Higgins, Bellingcat and clones is that once one of their fakes is identified, they roll right on to the next. Our dear commenter with â€œKremlinâ€ Touretteâ€™s has dredged up the whole roster of social media fakes, a cornucopia of failed Western propaganda memes. The Western propaganda strategy is to keep throwing more BM (“Brown Moses” by any other name) against the social media wall and see what sticks. In the end, all Higgins and his fanboys can do is hurl insults. And you sound like the guy who thinks that if you can get a forum full of Russia-hating people to downvote the one guy with a Russian-sounding handle, you can change underlying fact. What does “open source” information even mean? That the computer script that generates the narrative is freely available, and you are free to modify it if it doesn’t suit your purposes? Just because “open source” means something trustworthy in one context, doesn’t mean that you can just use the words in any other context to mean something equally trustworthy. The reliability of all information eventually depends on verifiability, so bellingcat’s reporting isn’t suddenly special just because they’ve commandeered the words “open source.” Do you think that, given a case with such significant political ramifications, Western propagandists aren’t capable of easily producing sophisticated fakes to suit their purposes? The recent Australian news / Higgins imbroglio is a red herring. Eliot Higgins is a deception operative supplying weapons in the MH-17 Propaganda War. The “analyses” of Higgins (since March 2012, initially as “Brown Moses”) and Bellingcat (as if on cue, since 15 July 2014), based on so-called “evidence” derived from social media, already have been used by the American government to create casus belli in two instances (Syria in 2013 and Ukraine in 2014). Let’s not forget that funding and training terrorist armies (in Syria and Ukraine) and imposing economic sanctions against nations are acts of war. Australia’s “60 Minutes” report is simply the latest recycling of Higgins’ garbage. The perpetrators of the MH-17 Propaganda War, who are withholding the primary material evidence concerning this criminal act, want the global public distracted with debates about photographs and geo-location. Thankyou for your balanced perspective in this one sided conflict Mr Maybury. The MH17 incident (a.k.a ‘False Flag Event’) has its truth currently falling down the proverbial rabbit hole, along with something far more incredible than the complete obliteration of common sense from the Western MSM propaganda regime, for the fact that knowledge and history itself is also under attack. The information war has made its stain on the history of the information age. One response to the link I posted. … the MH-17 matter disappeared from the news cycle. The West is definitely suppressing evidence of whatever it was that happened, and that’s both disturbing and suggestive. Thanks to Mr. Maybury for the thoughtful and informative essay. A statement without evidence is just an opinion. Five typical ways that delegitimisation is employed in propaganda wars are dehumanisation, outcasting, trait characterisation, the use of political labels and group comparisons. See Bar-Tal, D., & Teichman, Y. (2005). Stereotypes and prejudice in conflict: Representations of Arabs in Israeli Jewish society. Cambridge: Cambridge University Press. Note how the commenter above attempts to delegitimise the work of investigative journalist Robert Parry and Consortium News by employing the rhetorical strategy of categorizing Parry’s writings as “op ed pieces”. It appears that Bellingcat have been promoting fake photos! That intersection was apparently not even under separatist control that day! What no one seems to care about or mention is that that intersection was apparently not under separatist control that day anyway. Yet Bellincat and 60 minutes are saying it was! If you guys, including Mr. Maybury and Mr. Parry put one QUARTER the effort you do attacking anything ‘Western’ or ‘MSM’ into investigating the Kremlin and Mr putin’s actions in the world, you would find they are guilty and have an easy time of it. I am not saying stop keeping Western Government’s and MSM feet to the flame per se. I am just saying I am REALLY surprised you buy the Kremlin’s and Kremlin sponsored and censored and MANUFACTURED lies hook line and sinker. Honestly, how many of you guys were rebologging the crucified child in Slavyansk story until it was proven to be a manufactured story by LIE CENTRAL, the Kremlin? How many of you were repeating the SU -25 story, while Mr putin was sitting back and snickering? How many of you were saying the little green men are just local militias defending Crimea? How many of the Kremlin lies do you have to be told before you attack them in your attempts at op ed pieces as well? Like I said, it is not difficult, just a quarter the effort you us here to attack the West and MSM and neo cons and liberals and etc. One quarter the effort and you would see what a majority of the world sees, the Kremlin and putin are not to be trustsed in what they say and when called on it they are as stubborn as a mule with its hooves nailed to a wooden floor. Good luck and I hope you have an epiphany sometime soon, because the Kremlin and putin are and you guys repeating their lies are just bring the names of Russia and the Titanic that much closer. Comrade boggled and Eliot Higgins seem to be in competition for who has the worse case of “Kremlin” Tourette’s. Thanks, comrade, for supplying the Washington/EU/NATO propaganda talking points courtesy of the NATO-partnered Central European Policy Institute (CEPI). It’s the script for Bellingcat and clones. The Galina Pyshnyak story is a case in point of how the Washington, Kiev and EU propagandists will grab and spin anything and everything that appears in the Russian media. Kremlin’s actions and lies are enough for anyone. ie MANUFACTURED TALE from RussiaOne journalists at the request of the Kremlin paid to an actress who starred in about 4 other MANUFACTURED tales also. yup, you guessed it, more Kremlin propaganda. — The devil is in the details. Fake journalism gets recycled in countless mainstream, independent and social media outlets. Identifying and tracking the sources of disinformation is a vital task. Disinformation operatives masquerading as â€œcitizen journalistsâ€ have metastasized in social media. They are not â€œuseful idiotsâ€ or a â€œdistractionâ€. They precisely are weapons manufacturers in the propaganda war. Kind of silly, YOu support Parry, but he has yet to provide any proof in any of his articles to back up what his OP ED articles say. At least Higgins makes an attempt to put something to back up why he came to his conclusions. You do a little better then Parry, however, your beating the wrong horse. Like I say, if you put 1/4 of the effort you do into researching all you do into looking at the Kremlin and being critical of them, you would find there is a LOT more there THERE. Good luck Abe, and do not let those nails in your hooves bother you too much. And I would add one other thing, if you read through that WHOLE article of an attempt at justifying the crucified child story, but if you read the author’s comment at the bottom from AUG 2014, he said after he contacted the guy he would update the article with what he found out, truth or propaganda. Since his slant is anti Maidan, I would guess he learned it was BS and MANUFACTURED and decided to not update the article. Since it is 9 months later. But like you said, the devil is in the details. Alexei Volin, Russiaâ€™s deputy minister of mass communications, said of the Channel One report, â€œThere is a person, she spokeâ€. The Russian government took no action based on the Galina Pyshnyak interview. So scream louder, comrade boggled, and use more caps. Let me add that I find it curious that Robert Parry, in his list of those who may be responsible for downing MH17, fails to include the Russian military. And this while the Russian Defense Ministry verifiably lied in their July 21 press conference (lied about MH17 flight path, lied about date of satellite pictures, lied about SU25’s flying close to MH17 and lied about the location of the Luhansk video). Besides these lies by the Russian Defense Ministry, the only verifiable evidence of who downed MH17 is presented by Bellingcat based on open source, publicly verifiable evidence from crowd sourced media. It is mind boggling why Robert Parry follows the verified lies from the Russian Defense Ministry and meanwhile denies the evidence from publicly available evidence from the residents of the Donbas. Higgins and Bellingcat claim that the Russian Ministry of Defenceâ€™s July 21st Press Briefing on the downing of MH17 “made claims about the flight path of MH17 and itâ€™s diversion to another heading that were shown to be untrue by data presented by the Dutch Safety Board”. Higgins and Bellingcat verifiably lied. What is true is that the Dutch Safety Board only reported the Air Traffic Control radar data provided by the Ukrainian government. The Dutch Safety Board did not evaluate the Russian radar data. The Russians have repeatedly called for an independent investigation. Washington and Kiev won’t allow it. Again and again, the whole world is asked to simply take Kiev and Washington’s word for it. The real failure in understanding stems from the failure of one large contingent of reporters to make an important realization. That is the fact that, given America’s recent political history, reports blaming Russia are not inherently credible to begin with and need to establish their credibility before they can convey any kind of message. In other words, the burden to dismiss them is not high at all. When I mention America’s recent politcal history, it’s not just Saddam’s WMDs or “they hate us for our freedoms.” There’s also “Sarajevo in flames” and the definition of “is” before that, as well as mass surveillance and us not being at war with Libya after that. Sometimes it seems like Washington is flaunting its lies, as if it thinks that credibility is a monument to be conquered and possessed, rather than an outlook to be respected and preserved. I think we can all see that that would have been a Career Limiting Move (CLM). Or possibly, for some, a Life Ending Move (LEM). Greg Maybury focuses on the Australian â€œ60 Minutesâ€ MSM outlet and totally ignores the actual source of the disinformation: fake “geo-location expert” and fake “independent investigative blogger” Eliot Higgins, pseudonym Brown Moses, and his fake “citizen journalist team” at Bellingcat. Rice is in good company. The UK Guardian has been peddling Higgins’s propaganda since 2013. Why knock Maybury’s excellent summary on the big picture of how the msm supports obvious propaganda by going back over the Higgins source? It is already proven – including by yourself – that Higgins is just a small part of the bigger picture and an obvious western intelligence asset? lol. The real issue is both the hypocritical and sycophantic nature of both politicians and media in continuing to push this rubbish in the context that ordinary people are the real victims of this tragedy as is always the case and they don’t give a damn. It is becoming more apparent to many decent people in the western world that all is not what it appears to be, particularly since 911 and the realisation is finally setting in – shock horror – that we are not the good guys but the bad guys in current world affairs. The world is full of useful idiots such as Higgins who, once exposed can be safely ignored. They are there purely as a distraction and to obfuscate the bigger picture of western political and media mendacity. Disinformation operatives masquerading as “citizen journalists” have metastasized in social media. They are not “useful idiots” or a “distraction”. They precisely are weapons manufacturers in the propaganda war. Ethical investigative reporters http://cironline.org/ethics-guide have every reason to focus attention on disinformation operatives like Higgins, Bellingcat, and Stopfake. Sorry mate, don’t mean to pick an argument but you just don’t get it. Try researching the linkage between the money and power as a start. Instead of pointing me to an ethics guide how about going just a step further and digging down into the background of the board and supporters of the organisation of said ethics guide – you might be surprised. My last word on this subject. My comments on Robert Parry’s articles, “You Be the Judge” and “Fake Evidence Blaming Russia for MH-17?” specifically address numerous money and power issues concerning Higgins, Bellingcat, and Stopfake. Martin, your last word was nothing other than innuendo. Few stop to consider the implications of a certain conclusion – certain in the sense that it becomes irrefutable – within the realm of abstract geopolitical strategies upon which the manufactured reality of the “great game” is played. Few consider the ‘realities’ which must then be flatly rejected the moment a particular version of ‘the truth’ becomes sacrosanct. Obfuscation and perpetuation of doubt serve many purposes. In this case, evasion of closure obtunds the need to act accordingly based on findings mandated by an official verdict. The abrupt ‘about face’ recently demonstrated by Kerry and Nuland in Sochi should have set alarms wailing and bells ringing. Nobody noticed. “What good fortune for leaders that their people do not think.” For the sake of argument, let’s pretend Russia did it. Nations would be obliged to demand accountability, their people would demand retribution, the victims would demand justice, and the international community would be constrained to unite in common cause against the perpetrators. On the other hand, if Ukraine did it, the empire’s hand in enabling a corrupt and illegitimate government to commit an act of international terrorism would expose its own leadership to unanimous condemnation. In the former case, the ’emperor’ is revealed as a naked and impotent pretender. In the latter, he is an immoral pervert with an insatiable appetite for unmitigated evil. In either case, the safest course is to preserve the element of doubt. The middle strategy is to sell the novel “rogue element” theory, which so far seems to be the operative case. The intelligence agencies of both NATO and Russia know what really happened. Neither side is eager for nuclear war. But it is Mr. Kerry and Ms. Nuland who presented – hats in hand, I might add – to Sochi. We’ll never get a verdict, but the implications are certainly worth considering. Armageddon is delayed (for some), and the perfidious doubt is kept alive for the publishers of memoirs. There Goes the Guardian, Lying About Ukraineâ€¦Again! When we talk about the terrible fate of flight MH17 a couple things come to mine. The first thing I always think of, was how Webster Tarpley and MoonofAlamba reported around July 11th, just a few days before of the downing of MH17, the Keiv government forces were pinned down somewhere east by the ProRussian forces. That the Keiv government forces had their backs up against Russia’s border. In fact this would have place the Keiv government BUK artillery in the very spot where these missiles supposedly were fired from. The other point I would make is how Secretary Kerry shouted from the roof tops of how Russia had performed this crime of shooting down MH17. Who can forget how John Kerry made his rounds on the Sunday Talk Shows that first July weekend after the planes tragic end. So, what caused the good Secretary to slow down his rant? When was the last time Kerry even brought up the subject of MH17 again? Just for the fact that no one in the US is talking about this planes demise speaks volumes to either the lack of US interest, or evidence that Russia did it. Certainly this would suggest to us that there is nothing to see here, so just keep on moving people. Move along! The US government for at least 50 some odd years has quit telling the world the truth. Everything is debatable; JFK, MLK, RFK, USS Libery, Watergate, Iran-Contra, CIA smuggling drugs, Osama Bin Laden (almost everything from what he did to how he died), 9/11, and whatever else I missed. Also, never forget Flight 103. The destruction of MH-17 was preceded by a global “regime change” propaganda war conducted by the Washington and its allies. Real journalists, investigators and researchers are kept preoccupied with debating these faux journalists and debunking their lies. The public is kept bewildered, confused and skeptical of all media. The better to hide the truth.